Can you guys believe how close Christmas is?! It’s really snuck up on me this year. One of my favorite parts of Christmas is all of the holiday baking! 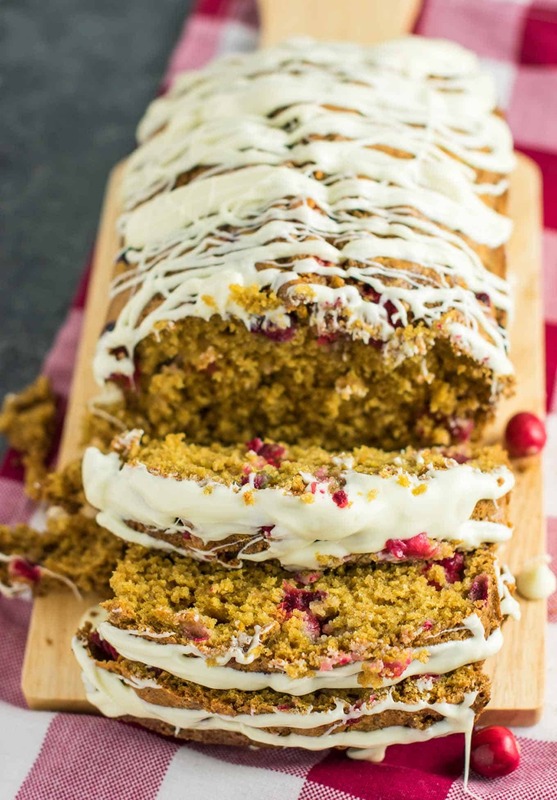 This weekend I am baking up a ton of my Christmas favorites, including this Cranberry Eggnog Bread. Food is my love language, and it makes me so happy to bake up new creations to share with my family! Eggnog is one of those controversial Christmas drinks that you either love or hate – there usually isn’t an in between. My husband is definitely on the love side, while I am not so crazy about it (too sweet for me!). 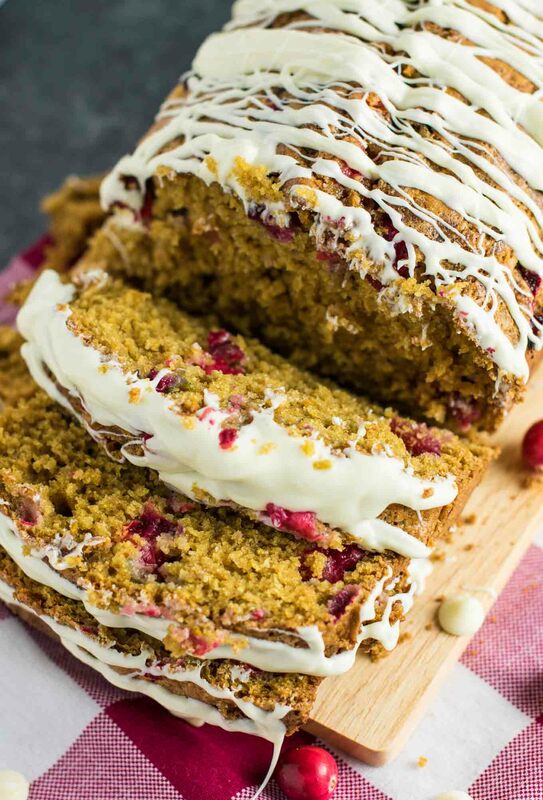 But add eggnog to a delicious cranberry bread and drizzle it with white chocolate? First, cream together olive oil, brown sugar, eggs, vanilla extract, orange zest, and eggnog. In another bowl, whisk together salt, baking soda and flour. Add dry mixture to the wet, beating well until combined, then fold in the fresh cranberries. Grease a loaf pan with cooking spray and pour in the batter. 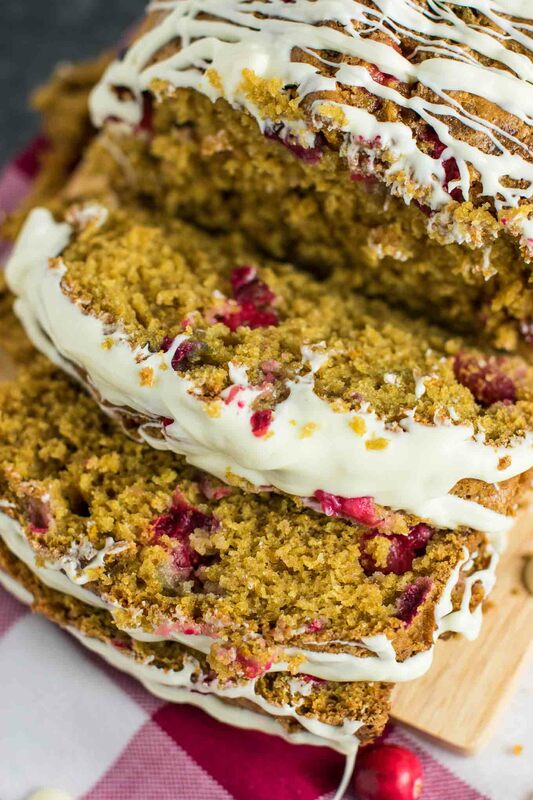 Sprinkle with brown sugar and garnish with additional cranberries on the top of the loaf. Drizzle the melted white chocolate over the bread. Rest assured all you eggnog haters, I promise you’ll love this recipe! Everyone who has tried this bread has RAVED about it – it doesn’t taste like eggnog, so even those not crazy about it will love this recipe. After I made my Cranberry Cream Cheese Muffins, I became obsessed with baking with fresh cranberries. That huge pop of flavor is just so festive and full of flavor! As you can tell from my recent barrage of cranberry inspired recipes, I am feeling festive my friends. 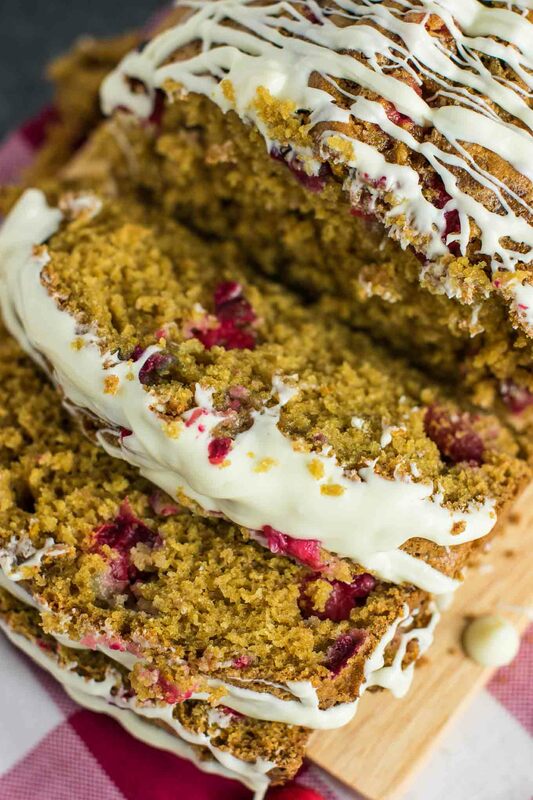 Here are some of my favorite holiday recipes using fresh cranberries! 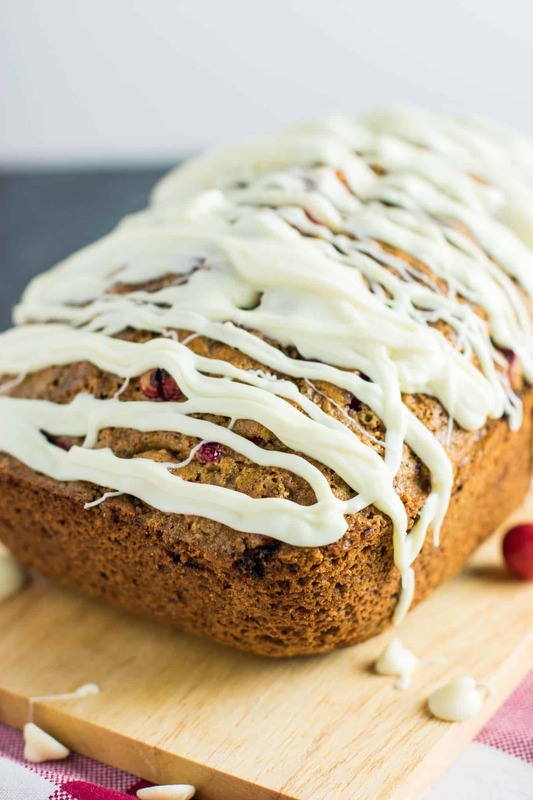 Cranberries are so sweet and tart and perfect for Christmas baking. I rarely ate them growing up, and I am more than making up for it now! 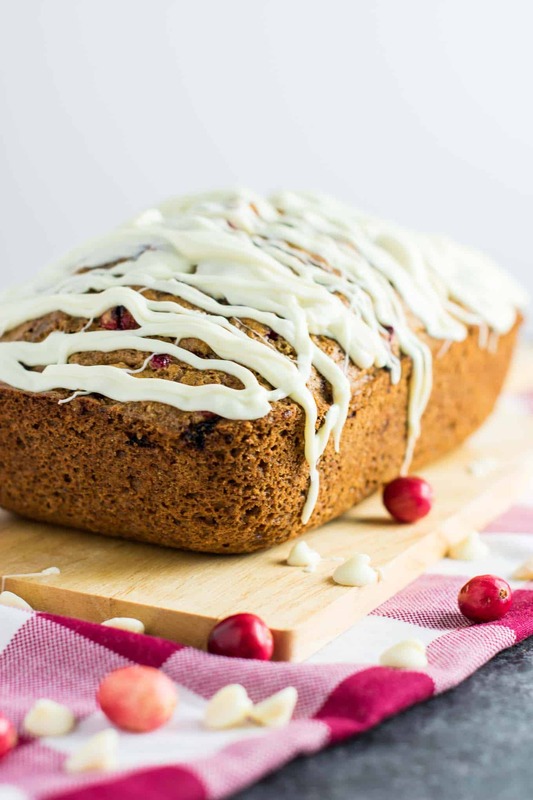 I decided to create this white chocolate cranberry eggnog bread with some leftover cranberries that I had in my fridge. It has since become a Christmas staple that I have to bake every year! 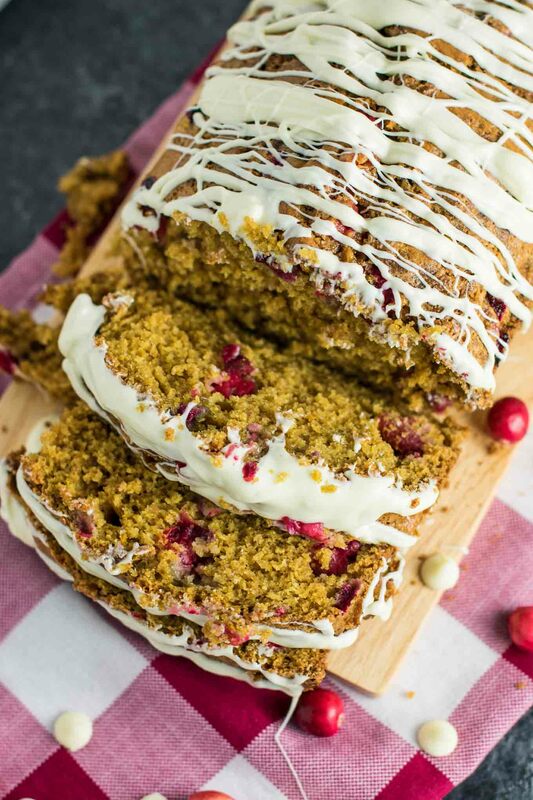 This bread is insanely moist and delicious, and topped with crunchy baked brown sugar then drizzled with white chocolate after it finishes baking. 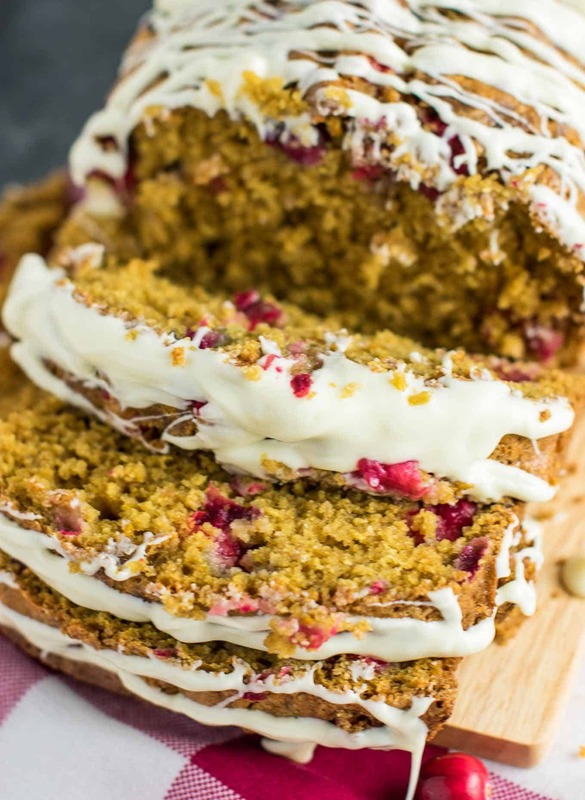 This is a showstopper recipe that is not only gorgeous to look at, but surprisingly easy to make. It’s ready for the oven super fast and doesn’t require many ingredients. I really can’t get enough of this and could eat a whole loaf myself if I didn’t stop myself. I gave a loaf to my brother this weekend and he is as addicted as I am. He sent me a picture eating it for breakfast after eating it for dessert the night before. 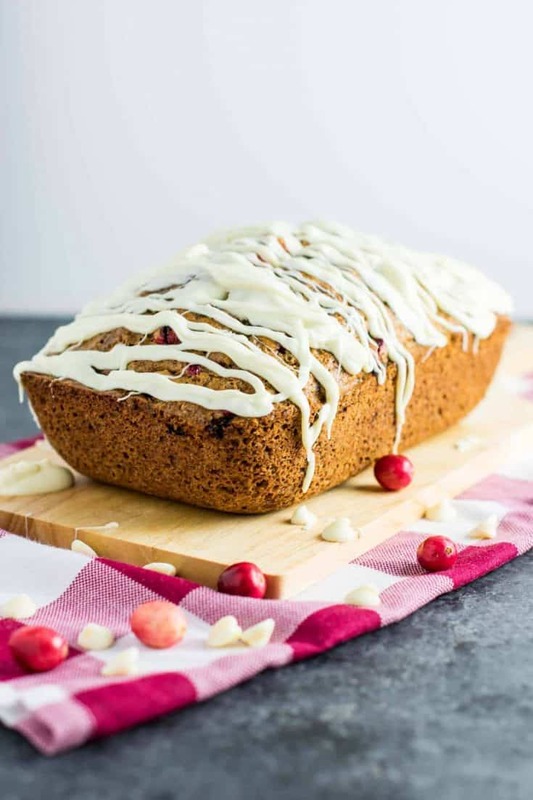 This white chocolate cranberry eggnog bread would make a great gift for loved ones, or the perfect dessert to bring to a Christmas party. Want to save this recipe for later? Click HERE to pin it! 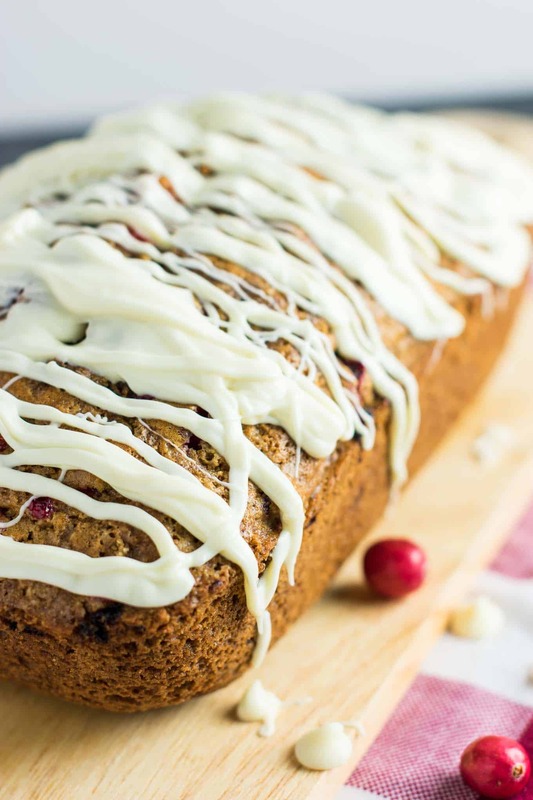 This white chocolate cranberry eggnog bread is a Christmas staple! I’ll give it to you- I think crack bread is probably the most fitting description here. 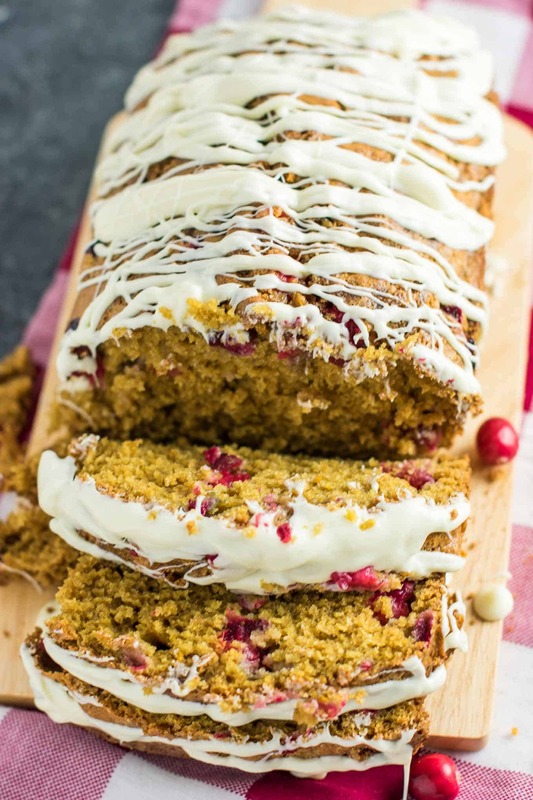 This sounds SO good, LOVE the cranberry and eggnog combo!